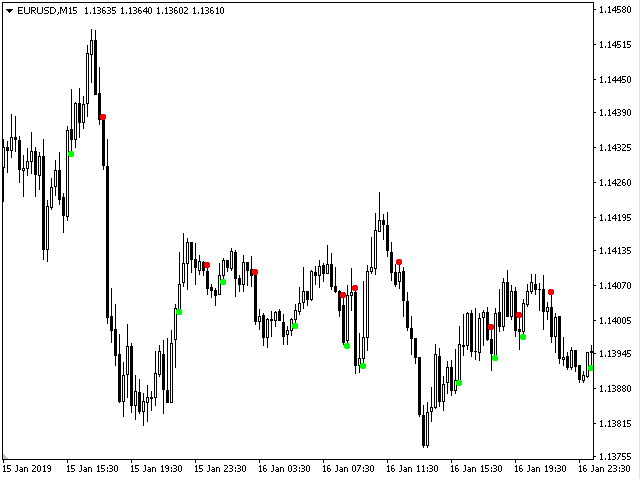 The indicator identifies all major market conditions (trend, rollback in trend, flat), which allows you to enter the market at any time and use any methods and styles of trading. The indicator is a directional system (ADX). The directional system was developed by J. Wilder in the mid-70s in addition to the PARABOLIC SAR system and then developed by a number of analysts. It has two main rows of points. 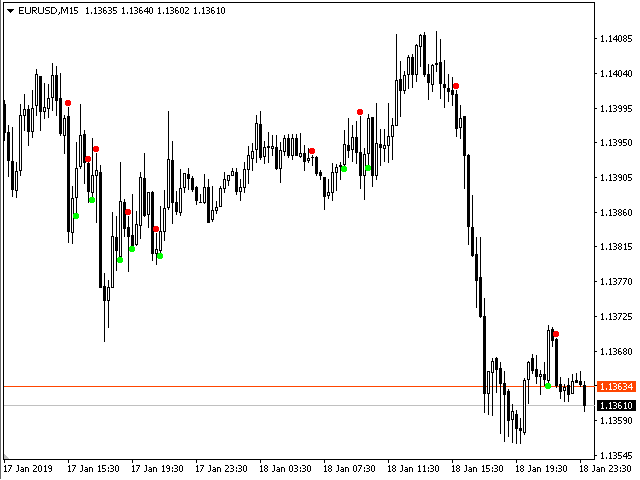 The first row of red dots indicates the trend direction for sell. The second row of green dots shows the direction of the trend to buy. Write how the indicator works, no need, everything is clear from its settings. 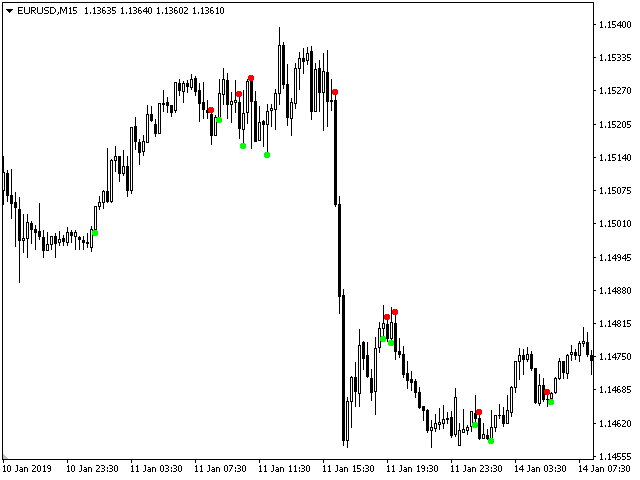 ADXbars - The number of bars for ADX indicators. CountBars - The number of bars to draw on the price chart. UseSound - Allow beep sound. SoundFile - Set a sound file.